This gorgeous necklace is Esther's (GardenGirl) interpretation of Cecile's Wheel. 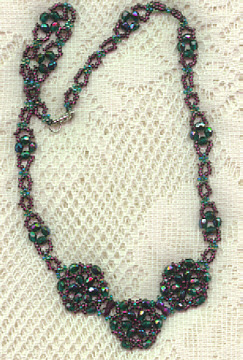 She used silver-lined purple seeds, and teal Fire Polished Crystals in this stunner. The strap is done in RAW (right angle weave). 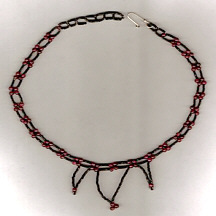 Trish (MAGICONYX) made this one from the Holiday Bracelet tutorial. She says, "Love the tutorial...here's my version of it. I don't care for red & green, so I kinda went goth with it." 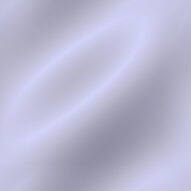 This is why I love to do tutorials....It's so much fun to see the variations people come up with. Thanks Trish! This is Helen's (DCDOLL041) wonderful version of the Netted Cuff. She used black and silver hex beads. This was her second one....her first one was too tempting of a treat for her puppy to pass up, and he chewed it up. :( Glad you tried again Helen, it's great! <....Feast your eyes on this gorgeous version of Cecile's wheel! 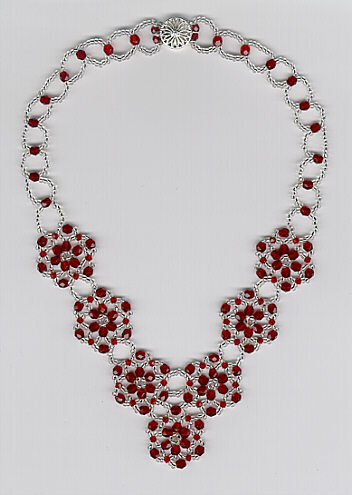 Ann used 3 and 4 mm Swarovski crystals with size 11 Japanese seeds to create this stunning necklace. She worked up the wheels on the train while commuting to work, and then assembled it at home.